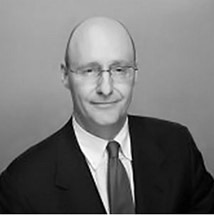 David Dunham is a founding partner of Taylor Dunham and Rodriguez LLP and a civil trial law specialist. He is board certified in Civil Trial Law by the Texas Board of Legal Specialization and has earned Martindale-Hubbell’s highest possible attorney rating of AV. Mr. Dunham has been recognized eleven times as a Super Lawyer by Texas Monthly. He is featured in the inaugural edition of Super Lawyers Business Edition and in ALM’s Texas’ Top-Rated Lawyers. In 2015, he was selected by ALM as a Top Rated Lawyer in IP Law. Mr. Dunham is an experienced trial lawyer with a long track record of success in a wide array of litigation matters. His success on behalf of clients at trial has been recognized by the American Lawyer and VerdictSearch.com in their annual publication of the top 100 verdicts in the country. A representative list of cases handled by Mr. Dunham is set forth in his curriculum vitae, which may be downloaded at the link above. Mr. Dunham has represented business and individuals in the following industries: semiconductor, telecommunications, software, medical devices, wireless, computer peripherals, recreational equipment, securities, gaming and more. Please see his curriculum vitae for verdicts and judgments he has obtained for his clients. Patent Infringement: Represented owners of computer and cell phone patent in five infringement lawsuits brought in the Austin Division of the Western District of Texas. All cases resulted in settlements and licenses. Patent Infringement Defense: Represented large, international software company sued on patent infringement claims in the Eastern District of Texas. Case remains pending. Trademark Infringement and Defense: Represented Houston-based company in asserting and defending claims of trademark infringement in Houston and Boston. Cases in both Houston and Boston settled. Breach of Contract: Represented oil and gas company in lawsuit filed in Houston Division of the Southern District of Texas regarding breach of an acquisition agreement. Case settled early in litigation. Professional Liability: Represented United States Bankruptcy Trustee in legal malpractice and breach of fiduciary duty case filed in Austin, Texas. Case settled before trial and was approved by the bankruptcy court. Partnership Dispute: Represented partner in federal court in breach of contract and breach of fiduciary duty case. Case remains pending. Copyright Infringement: Represented company in copyright infringement case filed against music label in Austin Division, Western District of Texas. Case settled early in litigation. Shareholder Litigation: Represented shareholder in minority shareholder oppression case filed in Austin, Texas. Case settled before trial. Board Director, Caritas of Austin, a non-profit organization dedicated to fighting poverty, hunger and homelessness. Board Director, Concept Services, Inc., an Austin-based restaurant equipment provider serving clients all across the country. Advisory Board Director, KLD Energy Technologies, inc., a company headquartered in Austin dedicated to developing clean energy technologies including high-performance electric motor system technology.